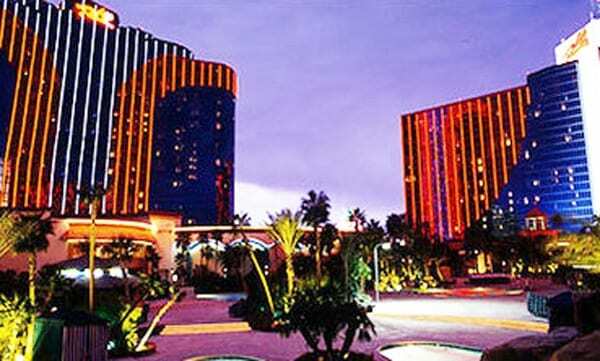 Rio All Suites Hotel & Casino is an off the Strip facility. If you are a traveler who has enough of the Strip facilities, choose this. You will get whatever you are looking for. We are assuming you are looking for something fresh. It is away from the frenzy of the uproars of the Strip. Do not think further. Rio All Suites is the ideal place. · The Address is 3700 West Flamingo Road in Las Vegas. · Telephone number (702) 777-7777. Do not think that this casino is very far from where you are. It is only about 5 minutes drive from South Las Vegas Boulevard. Most clients say the hotel is an extension of the Strip facilities. Upon arrival, the first thing you are likely to see is the sports bar. After that, you are likely to see a spacious casino floor. There are several other things that you will encounter. You can think of shops, stalls, a maze of best restuarants , and a couple of lounges. The entrance to the casino hallway is tad and dark. Also, This gives you the feel of conduciveness. From the crowd, you will notice that there is something for everyone. You will see young bachelorette parties and whole families that are vacationing. There is also another class of potential investors. They are here to discuss business. When it comes to hotel rooms at Rio, there is a mix. Some hotel rooms have an old deco. Others are nicely done. It is like the operator is renovating bit per bit. Above all, this is an ingenious way! One thing you’ll love about the rooms is that they are spacious. The other important thing is that they have all you need. Everything you need a hotel room to have is in place. So, the message is, some rooms have a gentle spray of bright furnishings and funky décor. Do you think the name ‘All Suites’ is just a name? No, it isn’t one of t he names. It carries a heavy meaning here. Even the very standard room in the Rio Hotel is a suite. That is why they use the name All Suites. Each room here has a separate living and bedroom. In other places, a room that has a separate living room and a bedroom is high. But in Rio, this is a standard suite. The beauty of the location of the hotel is its proximity to the airport. The facility is an only 10-minute cab ride from the McCarran International Airport. Bathrooms earn a majority of points at the Rio. Everything in the bathroom is big and nice. They have large soaking tubs, double sinks, and glass-encased showers. There is a section at the Rio that is only for adults. The proof of ID will let you in. The place is the Pool Complex. Here, the pool is different depending on which day you visit. Visit Rio All Suites Hotel & Casino on Thursday and Sunday for exclusive action. It will be different from other days at the pool complex.